1. Marc Marquez (Repsol Honda Team) has qualified on pole position for the 81st time in his Grand Prix career and the 53rd time in the MotoGP™ class, two less than Valentino Rossi. This is his first pole position since Malaysia last year (although there he started from seventh). 2. 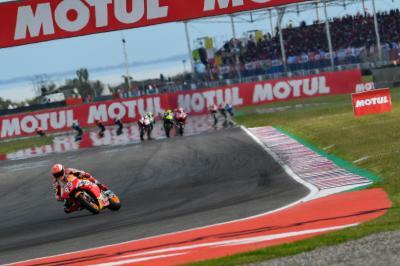 This is Marquez’ fifth pole position at Termas de Rio Hondo, equalling his number of premier class pole positions set at Phillip Island, which is one less than in Austin and at the Sachsenring. 3. 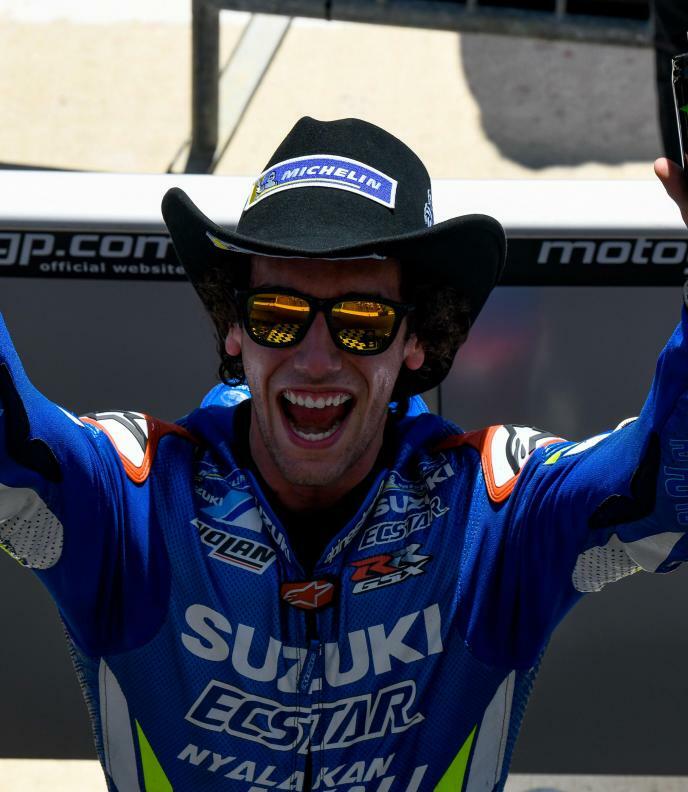 Maverick Viñales (Monster Energy Yamaha MotoGP) has qualified in second the grid, which is the first time he has started from the front row three times in a row since Silverstone, San Marino and Aragon back in 2016. 4. Andrea Dovizioso (Mission Winnow Ducati) completes the front row of the grid, which is his third successive front row start since Valencia last year. 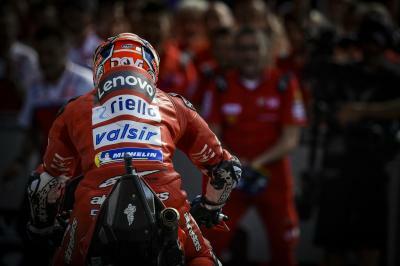 Dovizioso will be aiming to become only the second Ducati rider to win three races in the premier class in a row after Casey Stoner. 5. 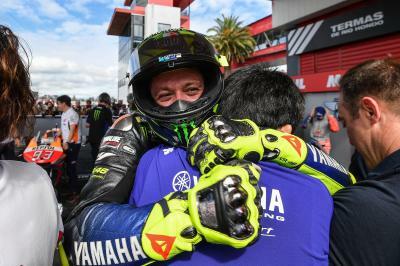 Heading the second row on the grid is Valentino Rossi (Monster Energy Yamaha MotoGP), which is his best qualifying result since he was the third fastest qualifier in Malaysia last year (although he started from second). 6. 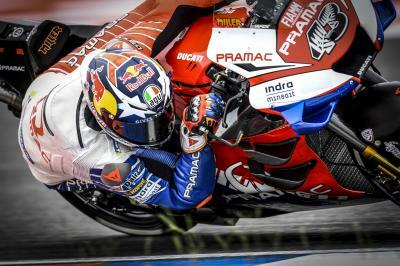 On pole position last year in Argentina, Jack Miller (Pramac Racing) is fifth on the grid as the highest-placed rider from an Independent Team. 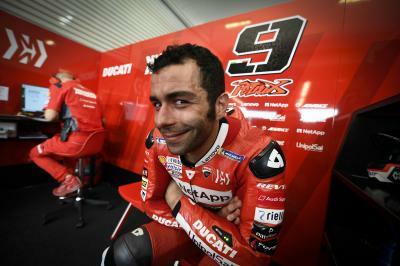 He crossed the line in fourth last year at Termas de Rio Hondo and as the top Ducati rider. 9. 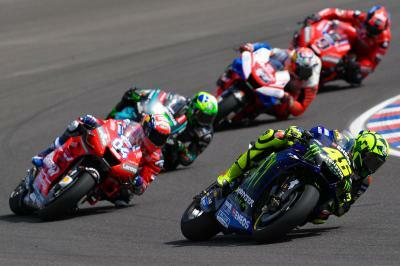 Cal Crutchlow (LCR Honda Castrol) has qualified in eighth. 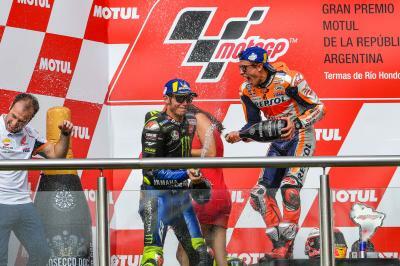 Last year, he won in Argentina after qualifying in tenth place.